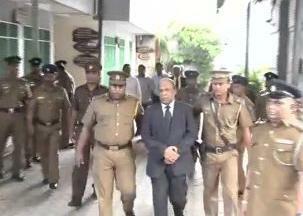 Former Western Province Senior DIG Anura Senanayake was remanded till May 26 by Additional Magistrate Nishantha Peiris today over the inquiry of ruggerite Wasim Thajudeen’s murder. The Criminal Investigation Department (CID) arrested Anura Senanayake after recording a statement from him this morning. The CID today revealed Court that according to a statement of an eye witness, the Senior DIG Senanayake had been in the vicinity of the accident site in civil attire on May 17, 2012 between 2.45 a.m. and 3.00 a.m. in another vehicle.